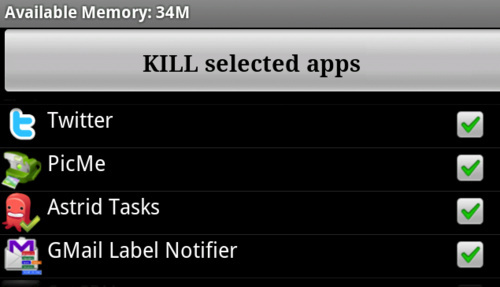 Android Task Killers – More Harm than Good? The two most common complaints that Android phone users have are performance (perceived speed) and battery life. The general consensus, at least up until recently, has been to employ a Task Killer to forcefully shutdown unnecessary apps. The idea behind this was to free up RAM, and therefore increase performance. Unfortunately this idea was based on the preconception of how standard computers operate, but this is not necessarily how a phone (Android) operates.